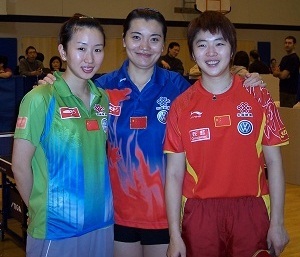 Known as "Coach Judy", she is the former coach of the women’s table tennis team in Hubei, China and currently resides in the Seattle area. Throughout her professional career, she has won many awards and trained many top quality students. Several of them have advanced to the Chinese National Team level. Coach Judy graciously offers her proven professional table tennis technique to the Seattle community. Her desire is to establish SPTTC as a world class table tennis training center and to promote this popular sport to both youth and adults. Her ultimate goal is to lead her students to become members of the US National Team and to participate in the Sino-American table tennis exchange program in China. Susan works as a Special Investigator and is a Certified Fraud Examiner. She is a member of the Professional Photographers of America and is an award-winning videographer and photographer. Her photos can be accessed here, where you will find many great pictures of local players and tournaments! Susan and her husband are proud parents and their son currently plays second base on the Edmonds Community College baseball team. King 5 News visited SPTTC before the 2016 Olympic Games table tennis finals to learn more about the sport of table tennis. Watch the report below which includes interviews with some of our younger players and training demonstrations by our professional coaches.